Using K12App will save around 80% of your day - time you used to spend wrestling on administrative and clerical jobs rather than teaching having less time for quality education and parent engagement. 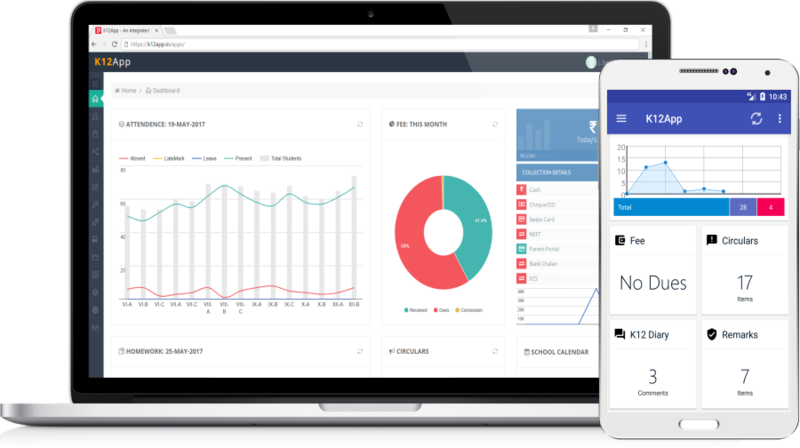 With K12App school principal can efficiently manage school, share real-time information with parents and get more control over day-to-day school operations. K12App provides hassle-free app experience to school and parents. Quick access to required information regarding grades, attendance, homework, fees, remarks and complains of the student help teachers and school admin to track student's performance, take quick decisions and have better communication with parents. K12App is an integrated digital solution for schools on (SaaS) delivery model having multiple services on one single platform. 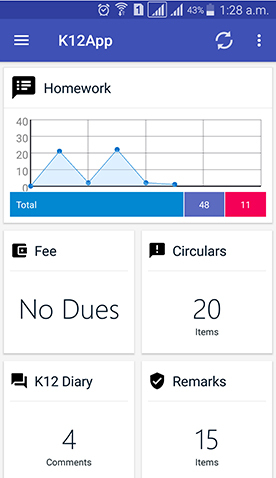 K12App student management system helps to manage student fee, attendance, homework, grades & remarks in few clicks. Quick and easy way to collect, track and manage school fee in multiple payment modes like Card, Cash. or Net Banking. No manual calculation required! 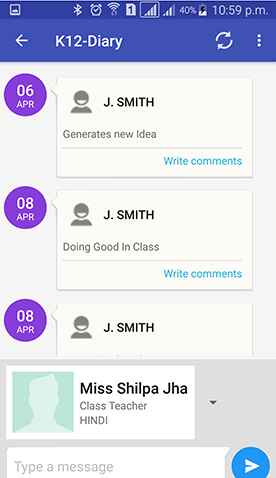 Teachers can generate reports in minutes and share grades with parents. Tedious task of student daily attendance can be done in few clicks with the help of K12App helping teachers to save time. Collect school fee through 100+ paymnet options of K12App with no extra cost on school and avoid the risk of cash handling. Get a dynamic and responsive website for your school which will automatically get updated by school application itself. 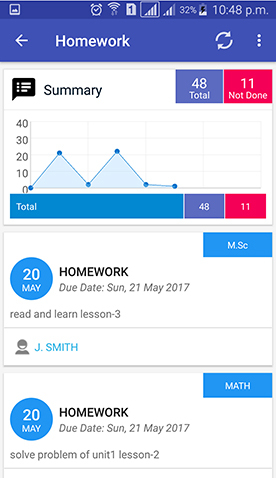 Create homework & assignments in minutes and share with parents helping them to know what's happening in class. Web Portal for parents to track their child's activity at school on any device having web browser and internet. K12App provides management of entire admission process starting from sale of form and prospectus to final selection. Send TRI approved instant SMS for routine and emergency messages to parents and teachers in one click. Easy to use mobile app for parents to stay informed and engaged in their child's education from anywhere. Get school fee through 50+ net banking options, 6 credit card brands, 73 debit cards and 8 wallets of K12App. Just allow parents to download K12App and pay the school fee from the comfort of their home or office! Using K12App parents can pay school fee from their mobile in a single click from the comfort of their home or office. 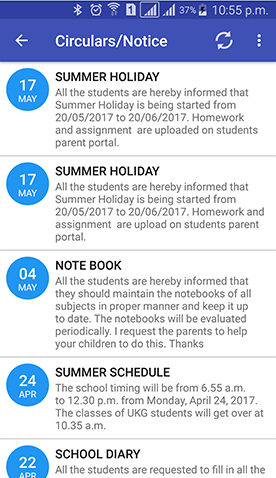 K12App allow schools to share real-time information with parents and engage them in their child's education and daily school activities. Let the parents know how hard your teachers are working by sharing daily homework and class work with parents. Never let your parents to miss any important information about the school events, activities, circulars and results. 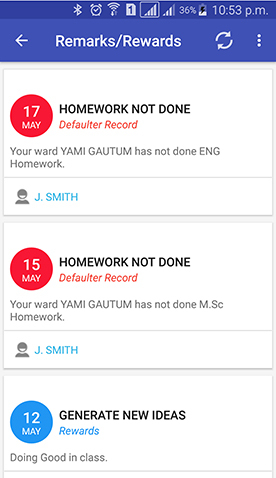 Manage attendance and share with parents in few clicks. No need to calculate attendance for reporting purposes! With K12App teachers can send quick remarks just like a simple post to parents regarding their child's activity at school. K12App help teachers and school admin to take quick decisions and have better communication with parents. 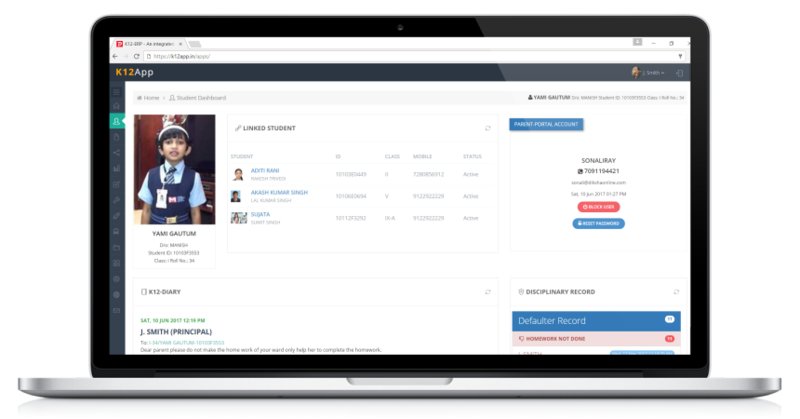 Seamless Integration of multiple applications in K12App lets you get everything you need to manage your school and parents, all in one place without any need to invest extra time and money in managing multiple applications and multiple logins. K12App help schools in digital transformation to make their life easier and engage parents in education. Make your fee collection process hassle–free by collecting school fee through multiple payment option of K12App and avoid the risk of cash handling. Get rid of clerical jobs! 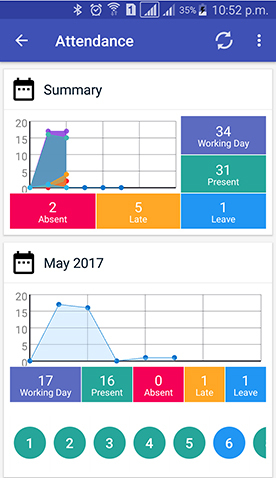 K12App will automate all the activities of school reducing workload of teachers, principal, and office staff.. Using K12App will reduce your overhead cost, communication cost, on-going IT cost and stationery expenses by 90% thus saves you lakhs of rupees. Enhance transparency and collaboration of parents in education by allowing them to access their child’s real-time information and daily school activities through K12App. Get responsive mobile friendly website designed on CBSE format for your school having integration with K12App for auto updates and SMS notification to parents. Adding mobile app for parents and online parent-portal facility to your school’s infrastructure will greatly improve your school's image and trust in the community. K12App is the best and easy way to engage parents in their child’s education by providing them real time information of their child’s behavior and performance at school. K12App is a highly secured and reliable Microsoft cloud based application. It has 256-bit encryption and bank-level security. K12App is a high speed, reliable and secured cloud application to provide hassle-free app experience to users. 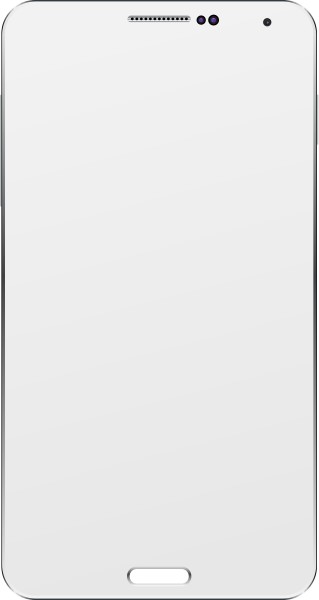 K12App is accessible “anywhere”, "anytime", "on any device". All you need is just a device and an internet connection. Our support team works with you 24 hours a day, seven days a week to make best use of your K12App application. K12App will reduce paper consumption up to 89% and allow you to save lakhs of rupees besides saving environment. Go live within minutes! Just do the easy sign-up and our team will manage all the setup required to run the application. K12App is so easy to use that any person with little knowledge of mobile can use the application and enjoy the benefits. We’re excited to share some posts from school principals across India who have found K12App useful and a time saver. It’s an amazing app for parents and school . 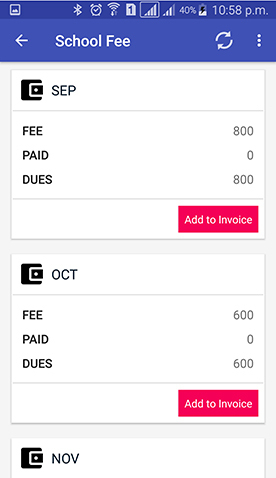 K12App has made our fee collection process fast and easy. With K12App we are able to engage parents in their child's education and daily school activities. The service and support of Diksha Online is outstanding. Options like fee management, student wallet, integrated school website and emergency notification of K12App were the most satisfied for us. It was easy to purchase the application online. The service and support of Diksha Online team is incredible as they are always ready to help us whenever we call them for support or customization. Diksha Online has been providing K12App in our school since 2015 . We are quite satisfied with our decision of adopting K12App for our school. We, for sure, would like to recommend K12App to other schools.